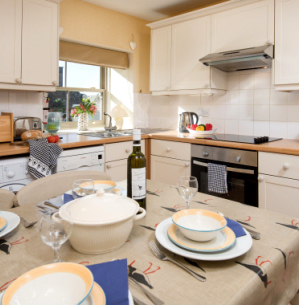 Our luxury self-catering holiday cottage sleeps four guests. 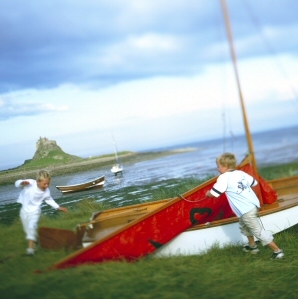 We are ideally located in an Area of Outstanding Natural Beauty, within one and two miles of the Holy Island causeway, between Berwick-upon-Tweed and Bamburgh in Northumberland. Alnmouth, Alnwick, Beadnell, Coldstream, Craster, Kelso, Seahouses and Wooler are all within easy reach. 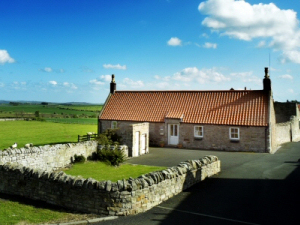 We are located next to a cycle track, and The Barn at Beal and The Lindisfarne Inn are both within walking distance. The A1 provides excellent access north to Edinburgh and the Scottish Borders and south to Newcastle and Durham. 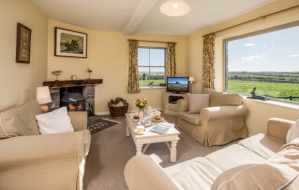 Our holiday cottage has a Visit England 4 Star grading. Our holiday cottage is pet free. Our prices and availability are always accurate as they are updated automatically as bookings are made. If the dates you want are shown as available, you can book on-line instantly.